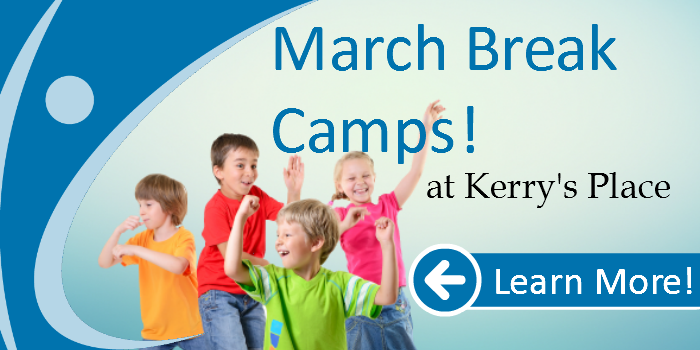 WE ARE PLEASED TO OFFER A MARCH BREAK DAY CAMP EXPERIENCE FOR CHILDREN AND YOUTH BETWEEN THE AGES OF 6 & 17 LIVING IN THE WELLINGTON REGION. This year we will be holding a mini camp at 400 Elizabeth St Unit L/M in Guelph. Please email lisa.vibert@kerrysplace.org or call 519-763-5812 ext. 21 to add your name to the pre-registration list. Families will then be put into a lottery and will be contacted no later than January 31st 2019 to confirm if they have received a spot and begin the camp registration process. 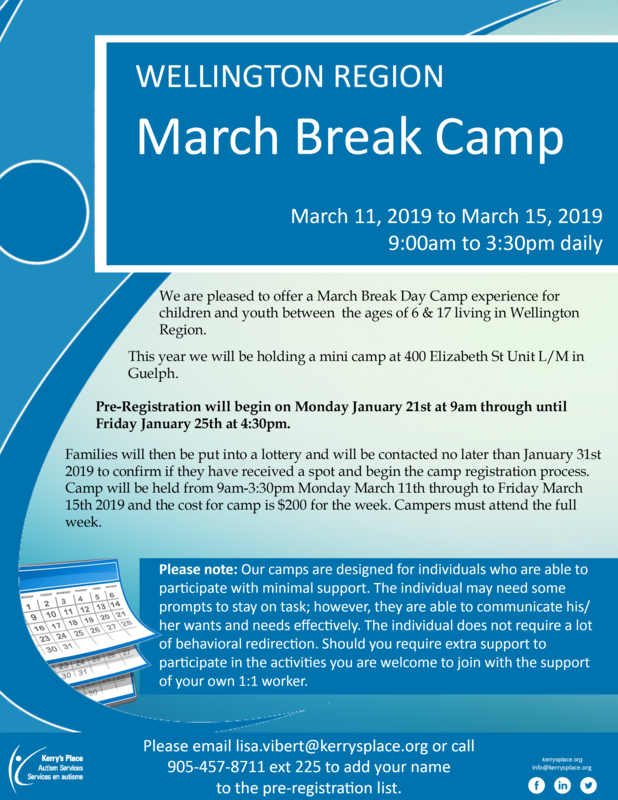 Camp will be held from 9am-3:30pm Monday March 11th through to Friday March 15th 2019 and the cost for camp is $200 for the week. Campers must attend the full week. 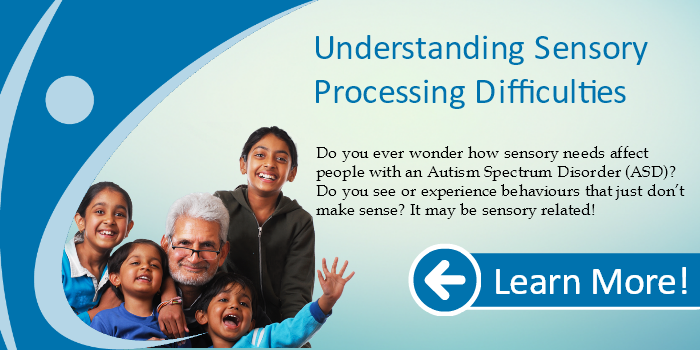 If you require more information please contact Lisa Vibert at lisa.vibert@kerrysplace.org. Please note: Our camps are designed for individuals who are able to participate with minimal support. The individual may need some prompts to stay on task; however, they are able to communicate his/her wants and needs effectively. The individual does not require a lot of behavioral redirection. Should you require extra support to participate in the activities you are welcome to join with the support of your own 1:1 worker.